Dettifoss is situated on the river Jökulsá á Fjöllum which originates as melt water from the Vatnajökull glacier as well as collecting water from a large area in north-east of Iceland. Dettifoss in Europe’s most powerful waterfall in terms of the sheer volume of water that flows over the 100 metre or 330ft drop to the gorge below. I tried to reach Dettifoss on my previous visit Iceland. 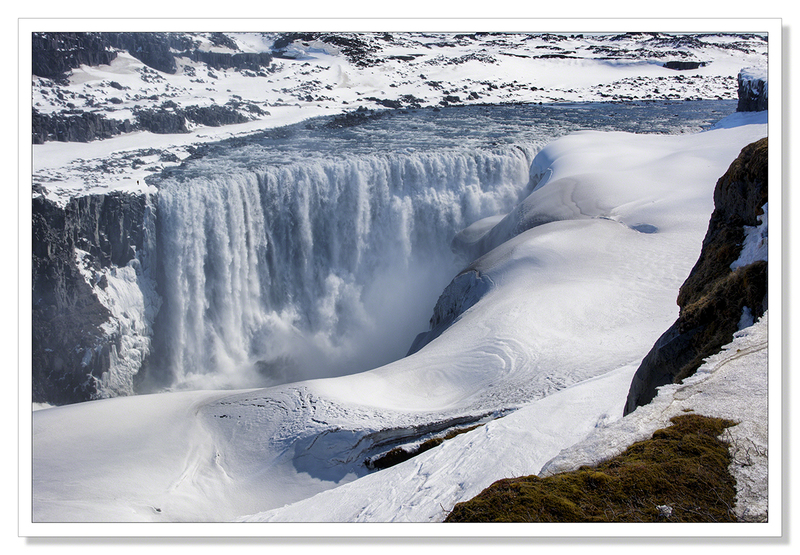 You can read about that attempt here, suffice to say, Iceland’s winter weather beat us. Given that the pictures below were taken in May and we tried to visit in February, it’s not really surprising we didn’t make it. I was glad to have been able to visit this time and hope you enjoy the pictures I brought back. In the first picture below, I transferred a figure from the cliff in the top right of the picture to the edge of the falls on the other side of the river to give an idea of scale. You can just make them out, right on the edge. The opposite side of the river is only accessible in the summer sadly. This is where you can get really close to the river bank and the falls. I’ll have to save that for another visit. This entry was posted on June 5, 2015 by Chillbrook. 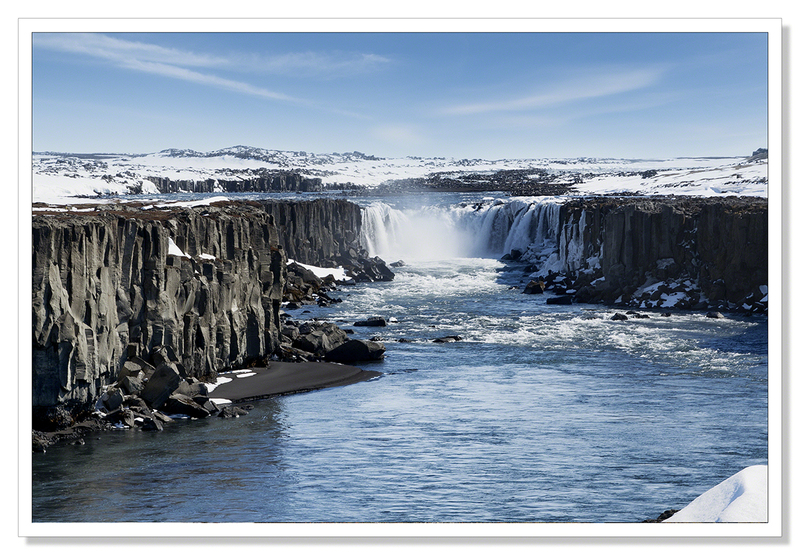 It was filed under Photography, Photography and Travel and was tagged with Adrian Theze, Cornwall Photographic, Cornwall Photography, Dettifoss, Iceland, Landscape Photography, Photography, Selfoss, Waterfall, Waterfalls. Thank you Malc! Appreciate your comment. Thank you Sue. I moved the figure because it was lost on the cliff and it’s still not easy to spot even with the backdrop of white snow simply because the scale is so vast. It really is an incredible waterfall. I can’t wait for my next visit so I can get to stand where the figure is. Difficult to believe the road that side of the waterfall was still closed in May. I really wasn’t expecting that. I think it was only possible to get to where I took the pictures becuase it’s a tourist attraction naturally, and a special effort was made to clear the road. Amazing! So when do you go back? Absolutely now.. If only we could slow down that clock. It just seems to get faster with each passing year.. 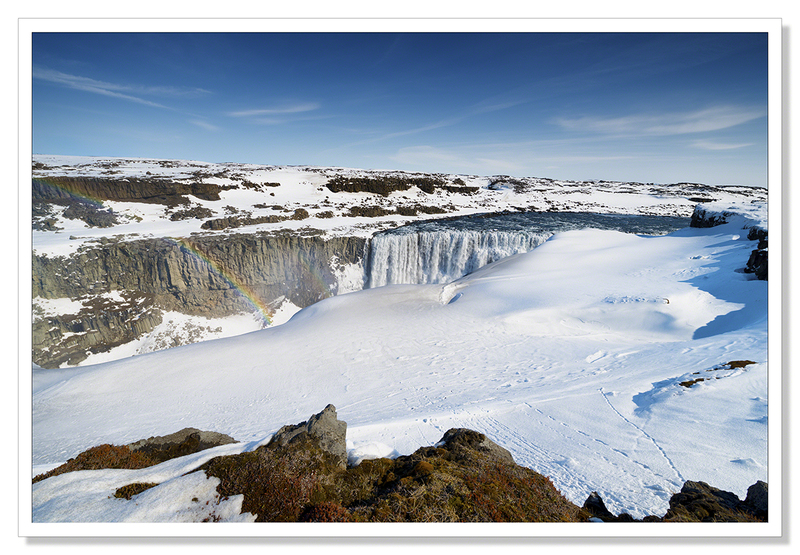 I hope you’re not getting tired of me telling you how spectacular your Iceland images are…because they are! Fabulous captures! My then 5-year-old son had my heart in my mouth as we were able to make it to Dettifoss and there he stood, as proud as punch, as close to the edge as he was allowed/possible (not sure the two were the same, however…) with the biggest grin on his face. And there’s me trying to play it cool by saying… “let me take a quick photo of you so that you come back to allow others to get their photos. Okay?” Oh the memories! Incredible, yes. Impressive. So mighty, and you show the strength in nature. It must have been such an exprerience. It was really was a wonderful experience Bente, Thank you! What thrilling scenery. 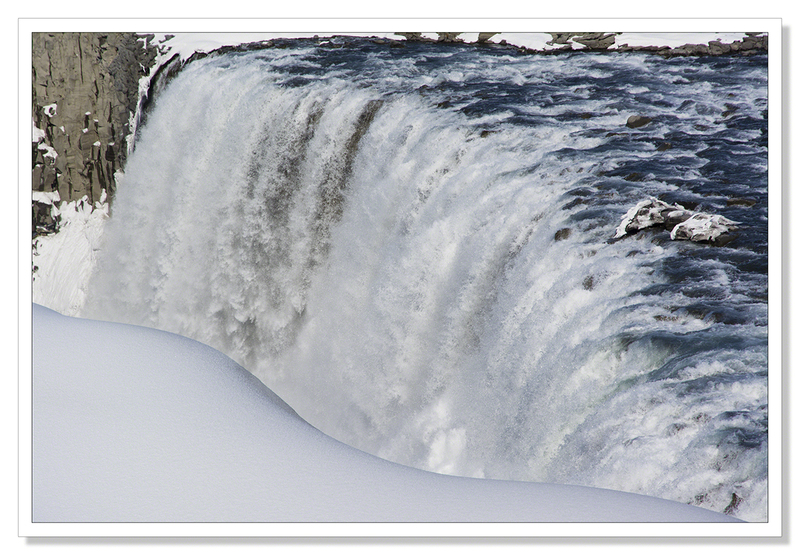 I bet the power generated by those falls exhilarating. How wonderful that you had a chance to visit and that you made it to this spectacular place this time. I was very happy to have made it Gunta! Thank you! Thank you Mark. You mention the power of the water, it hasn’t gone unnoticed in other quarters and there are currently plans to install some kind of hydroelectric plant at this waterfall. The current Icelandic government, like most governments it seems, bow to the whims of the corporate sector and many in Iceland are reacting against the increases in tourism as well as installations like the one planned here that have little regard for the environment. THere is talk of national strikes in retaliation against this new trend so there is hope. Iceland needs protecting! I, too, am glad you made it there :) Great shots! Thanks for sharing. Thank you for looking Camilla! It really was great to have finally made it there! hiya im new to wordprees and id love it if you could all check out mdy page talkingplenty.wordpress.com and WOW these images are truly amazing !!!!!!!!!!!!!!!!!!!!!!!!!!!!!!!!!!!!!!!!!!!!!!!!!!!!!!!!!!!!!!!!!!! I wish I could hear the thunder of the water too. 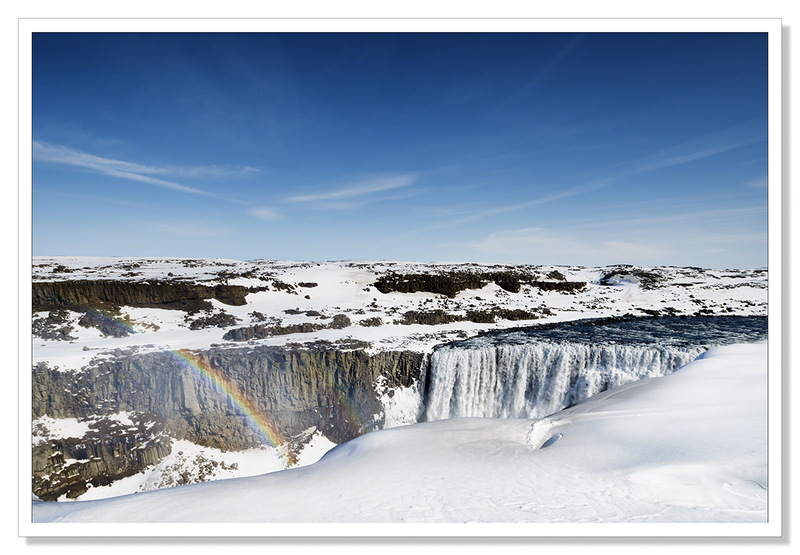 Your images have been a revelation – I had never realized that Iceland had so many waterfalls. I searched for that figure you moved in the first image and then finally spotted him – tiny. Certainly gives a sense of scale. The ‘close ups’ and rainbows are lovely but, for me, the last really gives an impression of the drama in the landscape. Power and majesty captured. Only you are able to harness the view in this way. Wonderful! Such powers in that water in the Icelandic waterfalls. And you have captured them beautifully. Stunning! Thank you Otto. Iceland is an island full of majestic sights like this one. 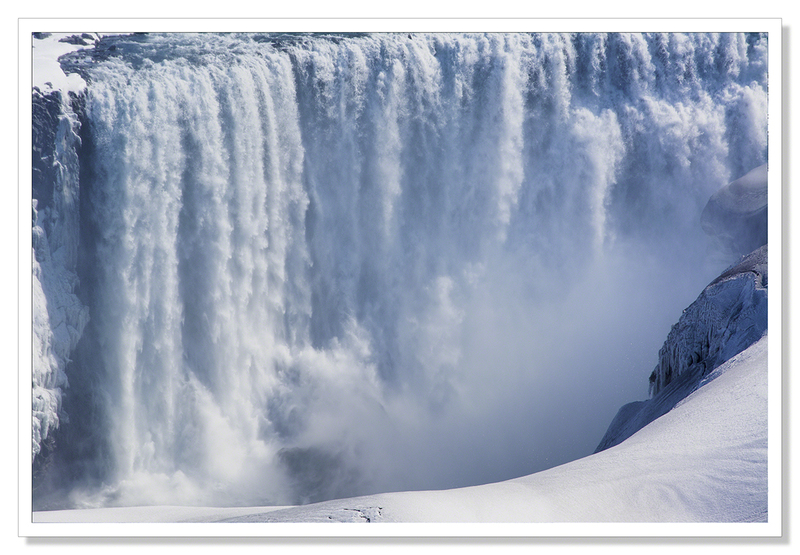 The power of Dettifoss is immense and a real thrill to see it person. The more of Iceland I see, the more I love it.